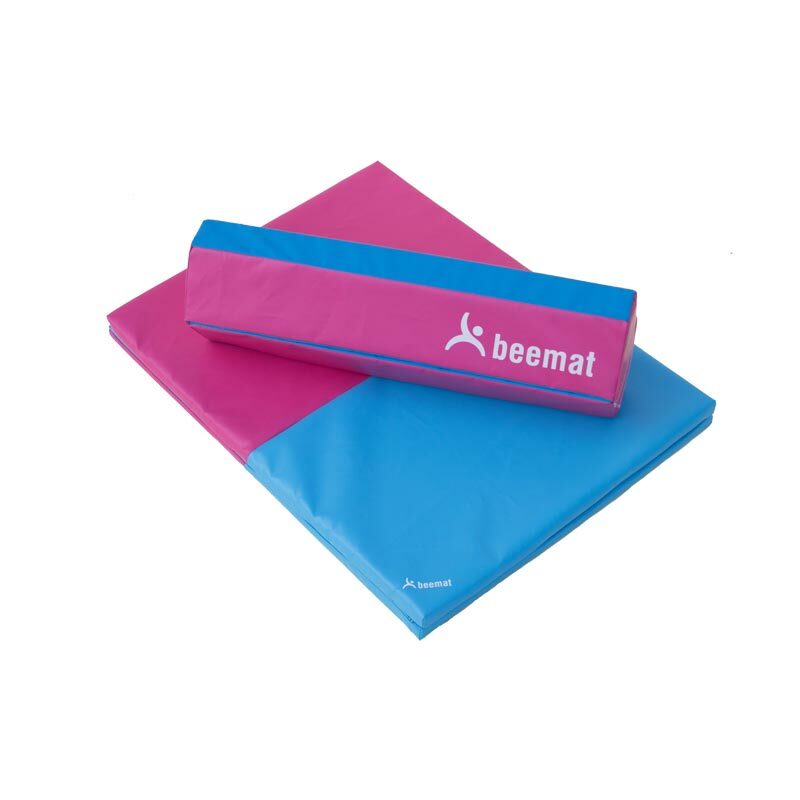 Beemat ® Folding Balance Beam And Mat Pack. 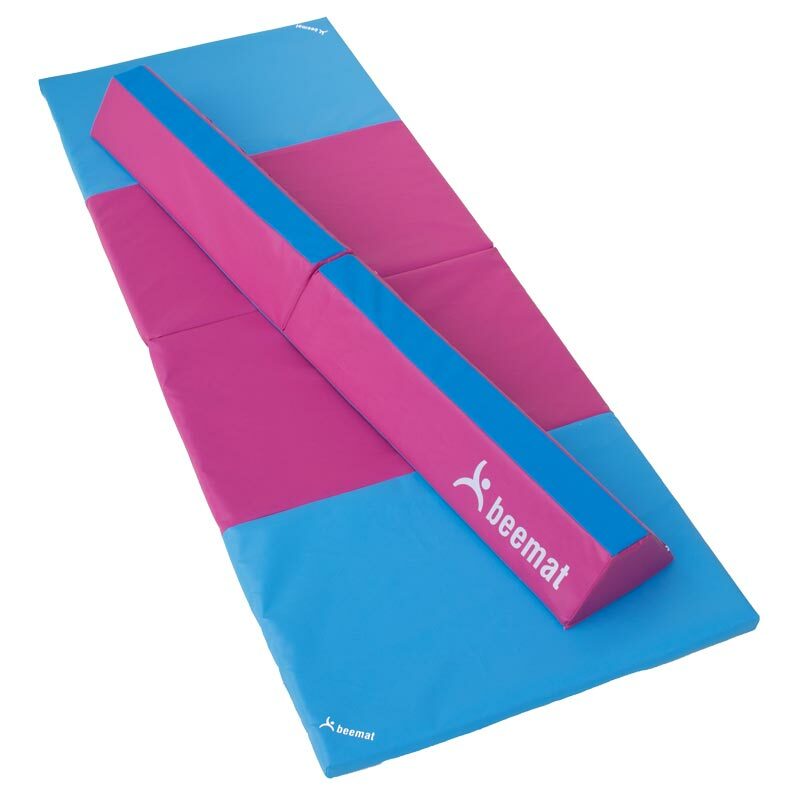 Save money with this combination pack of the popular Beemat folding balance beam and a twofold panel mat. 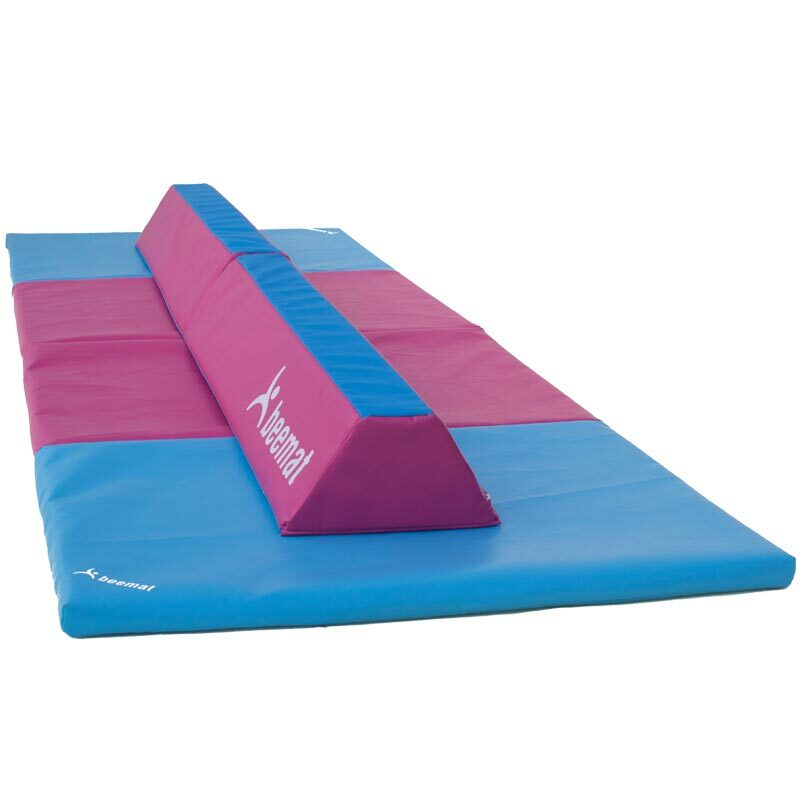 Suitable for balance and precision, skill repetition, enhancing progression, pre-school gymnastics, home gymnastics, jumps and leaps, balances, spins, forward rolls, cartwheels, backwards and forwards walkovers, flicks, somersaults. The lightweight folding mat is suitable for light tumbling practice, stretching and floor work. Quick to lay down and easy to store. The lightweight folding mat is suitable for light tumbling practice, stretching and floor work. Available in Sky Blue/Pink colour. Excellent quality, exactly as described. it is very stable due to its wide base, which was an important aspect that I became aware of as I searched, the cheaper ones sound liable to tip. 10 year old daughter very pleased.